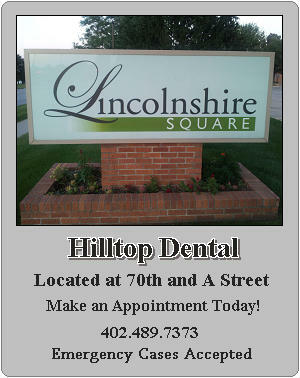 Dr. Scott Olson DDS received his dental degree and training from the University of Nebraska Dental College. In addition, he earned a Doctor of Pharmacy at the University of Nebraska Medical College. A member of the NDA and ADA for over 20 years, Dr. Olson maintains a high level of commitment to dental health for the Lincoln community. Mary received her Bachelor Degree in Dental Hygiene from University of Nebraska. Her goal is to provide our patients with comfortable periodontal and hygiene care. She will provide instruction and support for home care of your teeth and gums. She loves to travel. Bev received her Bachelor Degree in Dental Hygiene frm the University of Nebraska. She provides periodontal and hygiene care with support towards maintaining your teeth and gum health. She has 3 children, and horse riding is a favorite hobby.